We here at Banner are no strangers to the media spotlight, sure to make a splash with our quality service and professional prints. From the feeling of working with a dedicated design team built on family, to large-capacity print clients showcased across stadiums, read below to see Banner Shine. 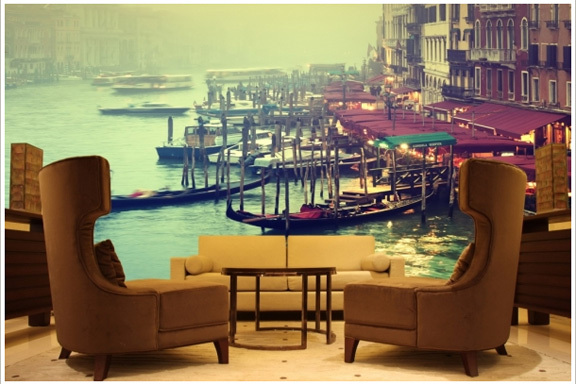 Banner Sign Company is a woman-owned large format digital and textile printing business. The family owned company has been in business over 93 years and was recently awarded a contract with Little Caesar’s Arena. They are moving their operation from Hazel Park to Milwaukee Junction to expand their business into a larger space with room to scale. 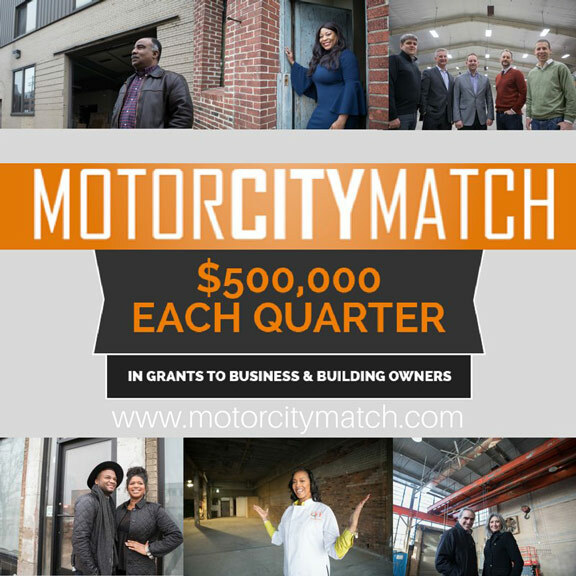 In addition to their printing business they will rent 1000 SF of space to a retail tenant. When it’s time to print, Digital Print Specialties utilizes its Mimaki JV3 and JV33 as well as a Mimaki DS-1600 for textile printing. For the project depicted above, the shop output a 10 x 23-foot wallcovering for an Ontario, Canada business lobby, using the JV33 onto SeraMark woven fabric media. 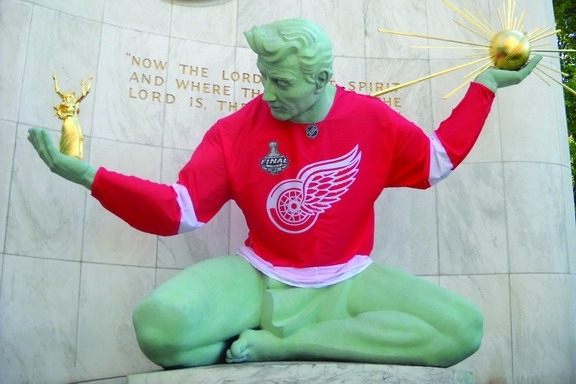 With its first printer choice–a Mimaki DS-1600–out of commission, Hazel Park, Michgan-based Banner Sign used its Mimaki JV-33 to print this Detroit Red Wings jersey for the Spirit of Detroit statue prior to last year’s NHL finals. 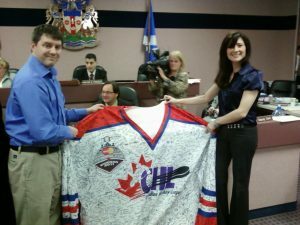 Windsor Mayor Eddie Francis and Nicole Piach, of Banner Sign Company, display a massive hockey jersey April 12, 2010 signed by thousands of local residents. The jersey will be presented in Toronto this week as part of the city’s bid for the 2011 Memorial Cup. Two huge Windsor Spitfires jerseys were brought to City Council chambers. They’ll effectively be the petitions that will be used to support the city and team’s bid for the 2011 Memorial Cup. The formal presentation is taking place this week and the jerseys will be brought along containing thousands of signatures. The public has signed the jerseys at a Spitfires game and at 13 area schools. Windsor Councillors have now added their names to the 20,000 signatures already on the jerseys.